Dèesse Magazine: Makeup Essentials : Look Flawless like you "Woke up Like This" with these key items . 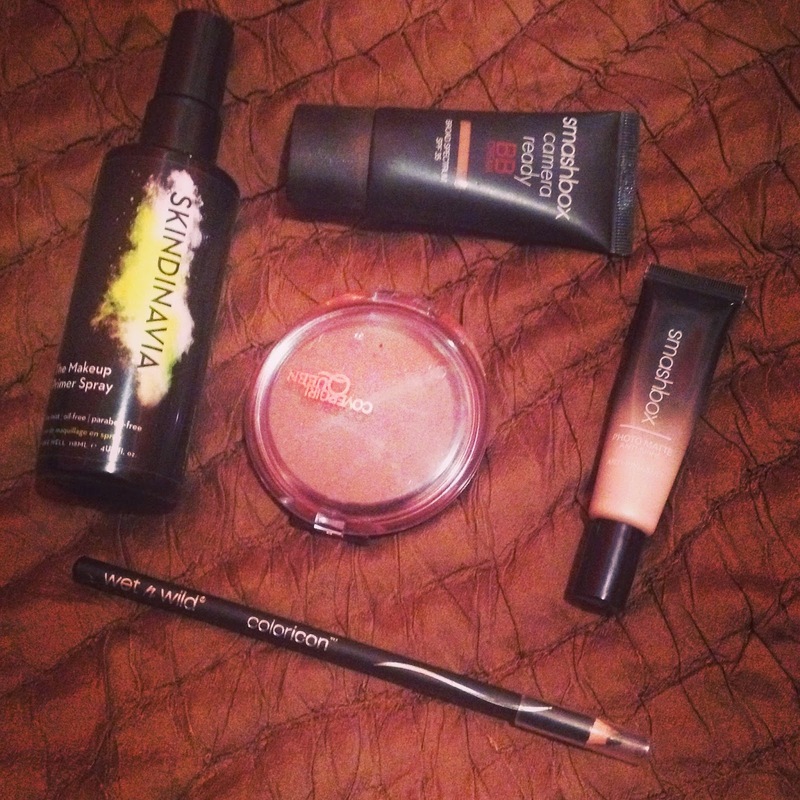 Makeup Essentials : Look Flawless like you "Woke up Like This" with these key items . Skindinavia Makeup Primer Spray ( $35/ $49 ) - Skindinavia is the Royal Family of Face Setting Sprays , so of course it would be only natural for them to release the first ever Primer Spray. I absolutely LOVE this spray. I tend to get oily around the T-Zone so I use the Oil-Free option , and I honestly don't need to even use Moisturizer when I use this. It is super moisturizing without having me look like a oil - slick. This is a must for all , and it is so worth the money . Smashbox Cosmetics Photo Matte Anti Shine - Although my primer is Oil Free I still want to go for a super Matte non dewy appearance , so this is where this comes into play. Unfortunately this is discontinued ( so I will be using this sparingly) . I love applying this specifically to my T-Zone after prepping my face - it really creates a nice Matte foundation for me to build on. Smashbox Cosmetics Camera Ready BB Cream in Dark ( $39) - Being a woman of Color it is VERY hard to get a perfect match in general, and this has been the only BB Cream so far that is a perfect match. I can use a bit more for full coverage and it feels weightless as if I have nothing on. Perfect for everyday or when you want to give that "bare naked skin" appearance ( Think - Beyonce Jealous Video). Wet n Wild Color Icon Brow Pencil in Mink Brown ( $1.49 ) - This pencil is amazing quality , just as good or not better than some higher end Brow pencils. The darker shade of Brown that Mink Brown gives is perfect for the Fall Winter season where you want to go BOLDER with the eyebrows. CoverGirl Queen Collection Natural Hue Bronzer in Ebony Bronze ( $6.99) - There has been a lot of "hype" about this Bronzer from Youtube , to Makeup Artists, you name it , its been mentioned there. I only recently decided to give this a try and I am SOOOOOO happy I did. This Bronzer is perfect for contouring, its perfect for using as a hint of blush , it gives us Dark Skinned Gals a beautiful flush of color. Its an absolute must for all Dark Skinned women! There you have it my Makeup Essentials !! !